(April 7, 2011) — Boston, MA — PBS’s AMERICAN EXPERIENCE, America’s most-watched history series, today announced that 40 college students have been selected for the 2011 Student Freedom Ride, an experiential learning opportunity for college students in conjunction with the broadcast of Freedom Riders and the 50th anniversary of the original May 1961 Freedom Rides. Over a ten-day journey from May 6 – 16, the Ride will be a moving classroom in which 40 college students from across the country will retrace the route of the original Freedom Rides. Accompanied by filmmaker Stanley Nelson, original Freedom Riders and others, the Ride will engage students in this important era in our country’s history, as they learn about the extraordinary commitment and courage of the individuals who took part in the Freedom Rides. The Ride will also serve as a means of launching a national conversation about the role of civic engagement in a thriving democracy, explore what issues inspire students to “get on the bus” today, and look at what forms civic engagement is taking on campuses and in communities across the country. 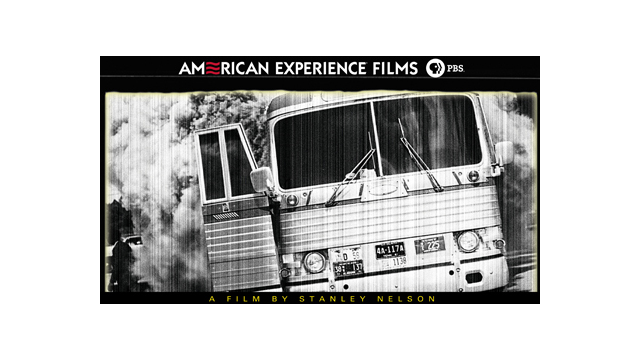 The acclaimed film Freedom Riders, directed by Stanley Nelson, will premiere on AMERICAN EXPERIENCE on Monday, May 16 at 9:00 p.m. ET on PBS. Tajikistan and Haiti. Students from a broad range of schools are represented — from state universities to community and junior colleges, from religiously affiliated schools to the Ivy League. Students were selected on the basis of their essays on their reasons for wanting to participate, their thoughts on the role of social media and technology in civic engagement today, and their extracurricular activities. Kicking off in Washington, DC with two days of events at the Newseum that will gather many who were involved in the original Rides, the 2011 Student Freedom Ride will depart on Sunday, May 8 and roll through Virginia, North Carolina, South Carolina, Georgia, Alabama, Tennessee, Mississippi and into Louisiana, stopping along the way at historically significant locations. The journey will end in New Orleans, the intended destination of the 1961 Freedom Riders. The original Freedom Riders who will join the students (many of whom were college students themselves in 1961) will share their memories of this bold and dangerous experiment in the fight for equal rights. Students will also meet with today’s leaders in civic engagement. Confirmed as participants in the Student Freedom Ride events are original Riders Joan Mulholland, Rip Patton, Diane Nash, Jim Zwerg, Robert and Helen Singleton, Charles Person, C.T. Vivian, Bernard Lafayette, Catherine Burks-Brooks and Matthew Walker, along with filmmaker Stanley Nelson and John Seigenthaler, former administrative assistant to Attorney General Robert F. Kennedy, who was sent to Alabama to deal with the violence directed against the Freedom Riders. University of South Florida Professor Ray Arsenault, author of Freedom Riders: 1961 and the Struggle for Racial Justice, on which Nelson’s film is partially based, will travel on the bus as resident expert on the people, places and events. Among the highlights of the trip will be events at Atlanta’s Morehouse College with original Freedom Rider Bernard Lafayette, a ribbon cutting at the Anniston Bus Station, the town where one of the buses was firebombed in 1961, and a presentation at Vanderbilt University’s First Amendment Center by John Seigenthaler. Events will also take place at Montgomery’s historic First Baptist Church, where the original Freedom Riders, along with Martin Luther King, Jr. and 1500 others, were trapped by a mob until the Kennedy Administration summoned federal marshals, marking a turning point in the civil rights movement. The Student Freedom Ride will end in New Orleans on May 16 with a public event and rally to welcome the students and the original Freedom Riders 50 years later. A complete itinerary of events will be released at a later date. The first comprehensive online resource for information on this pivotal event in the civil rights movement, Freedom Riders online (www.pbs.org/freedomriders) is an invaluable resource for information about the 1961 Freedom Rides. The Freedom Riders website offers students, teachers and the general public an interactive site to explore this event and more meaningfully engage in the content and the role of civic engagement in the shaping of society. In addition to streaming video of the full film, the site will offer 12 original short films, a fully animated map of the Rides, an interactive roster of the 436 original Riders, nearly two hours of video that illustrates the people, issues and timeline of the Freedom Rides, information on the 2011 STUDENT FREEDOM RIDE, and daily dispatches from the ride in May 2011. AMERICAN EXPERIENCE has partnered with Facing History and Ourselves, an international educational and professional development organization, to create comprehensive Freedom Riders curriculum materials that will be distributed to high school classrooms nationwide. Through a combination of in-person and online workshops, Facing History will train more than 650 teachers to use FREEDOM RIDERS in the classroom, and will present the film and curriculum at multiple educational conferences across the country. Curriculum materials are available online and educator trainings will occur over the course of 2011. AMERICAN EXPERIENCE is also working with Teachers’ Domain (www.teachersdomain.org/special/frriders/) to develop digital resources for middle and high school students and educators that will enhance the use of FREEDOM RIDERS in the classroom. Television's most-watched history series, AMERICAN EXPERIENCE has been hailed as “peerless” (Wall Street Journal), “the most consistently enriching program on television” (Chicago Tribune), and “a beacon of intelligence and purpose” (Houston Chronicle). On air and online, the series brings to life the incredible characters and epic stories that have shaped America's past and present. Acclaimed by viewers and critics alike, AMERICAN EXPERIENCE documentaries have been honored with every major broadcast award, including twenty-four Emmy Awards, four duPont-Columbia Awards, and fourteen George Foster Peabody Awards, one most recently for Two Days in October. Exclusive corporate funding for AMERICAN EXPERIENCE is provided by Liberty Mutual. Major funding provided by the Alfred P. Sloan Foundation. Freedom Riders has been made possible in part by a major grant from the National Endowment for the Humanities: Because Democracy Demands Wisdom. Additional funding provided by Lynn Bay Dayton, Nordblum Family Foundation, the Corporation for Public Broadcasting and public television viewers. AMERICAN EXPERIENCE is produced for PBS by WGBH Boston. Exclusive corporate funding for the 2011 Student Freedom Ride provided by Liberty Mutual. Additional funding provided by Lynn Bay Dayton and the Fledgling Fund. Complete information on FREEDOM RIDERS and the outreach campaign is available online at pbs.org/freedomriders.